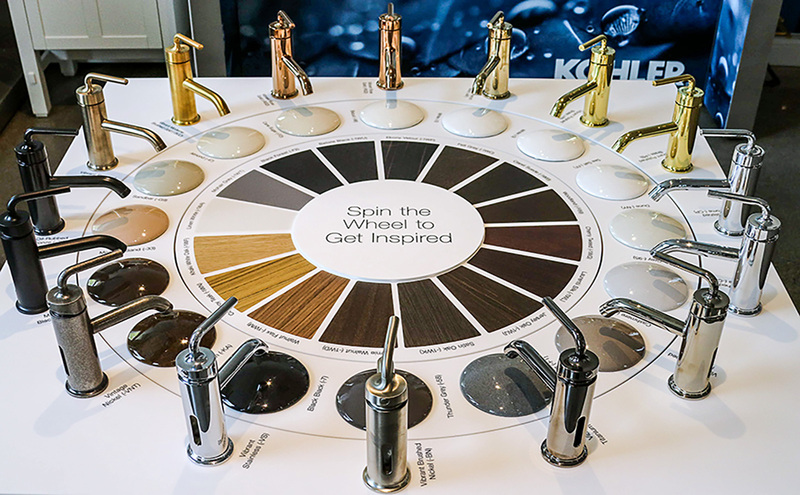 After being turned down by other vendors, and with only one month before their grand opening, Kohler came to The Bernard Group with a concept for building an interactive, vertical wheel of their sink, countertop, and faucet finishes. 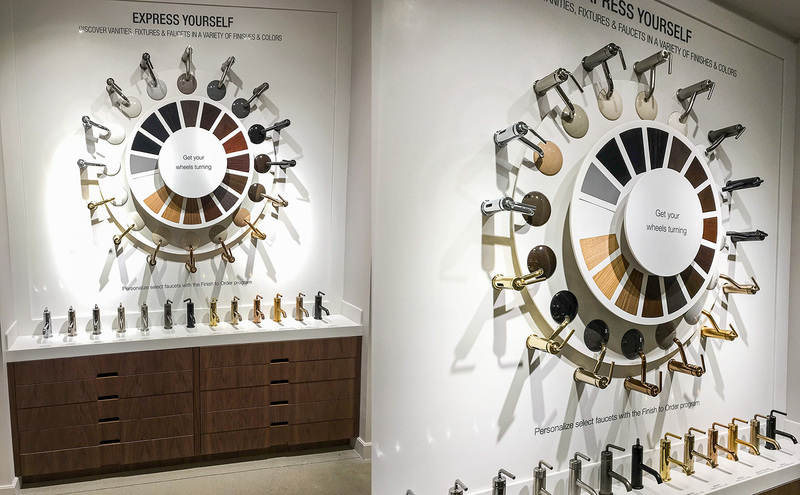 The finishes would need to rotate and align with one another, allowing the customer to mix and match all finish options. 2 Wall Displays. 60 Table Displays. 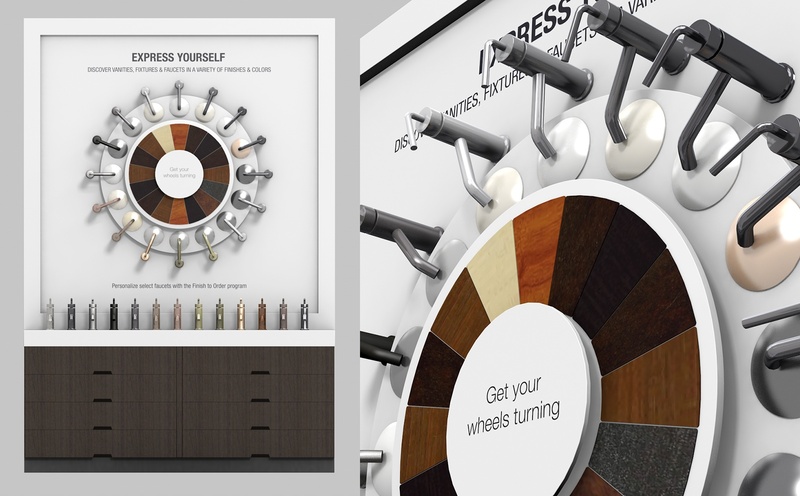 The interactive wheel was required to display 45 different finish samples and be suspended vertically. 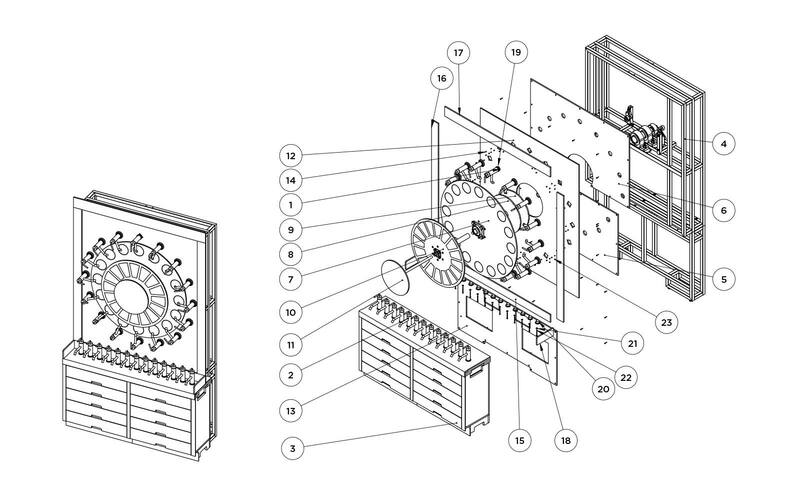 Our engineering team needed to create a prototype that could accommodate all the finishes and provide structural stability, while still being fully functional and interactive. The final design, which would be 900 pounds and over 7 feet in diameter, was to be delivered and installed without error in less than 30 days. We produced a successful prototype within 7 days. 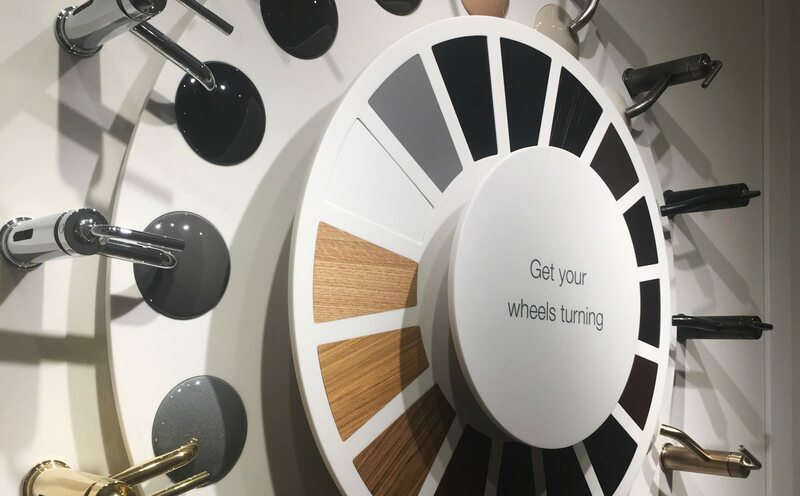 The finished display was engineered with an innovative mechanism that perfectly aligns each unique finish by easily clicking into place while also securely supporting the weight of the full system. A custom-designed kickstand and plastic skis made moving and installing the unit easy. The final installation was completed flawlessly and ahead of schedule. It was deemed a complete success. 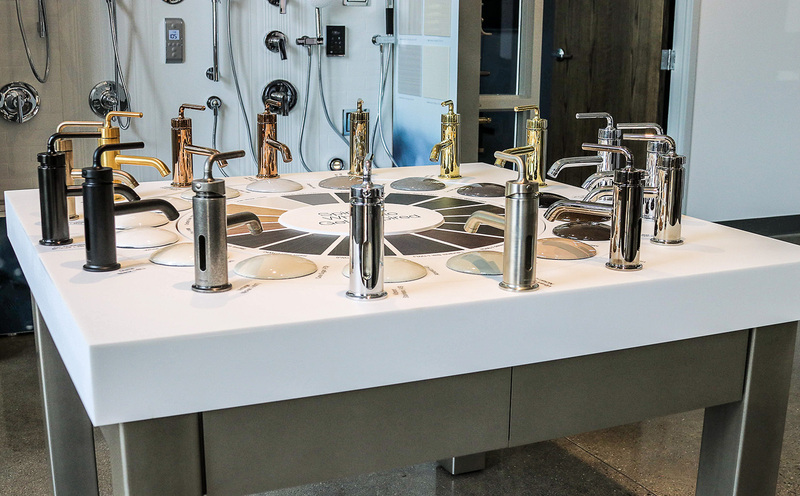 Kohler extended the project into a second phase in which we created a more compact, tabletop version of the display that was ultimately installed in 60 locations.